This hearty stew is popular and well received in our family. 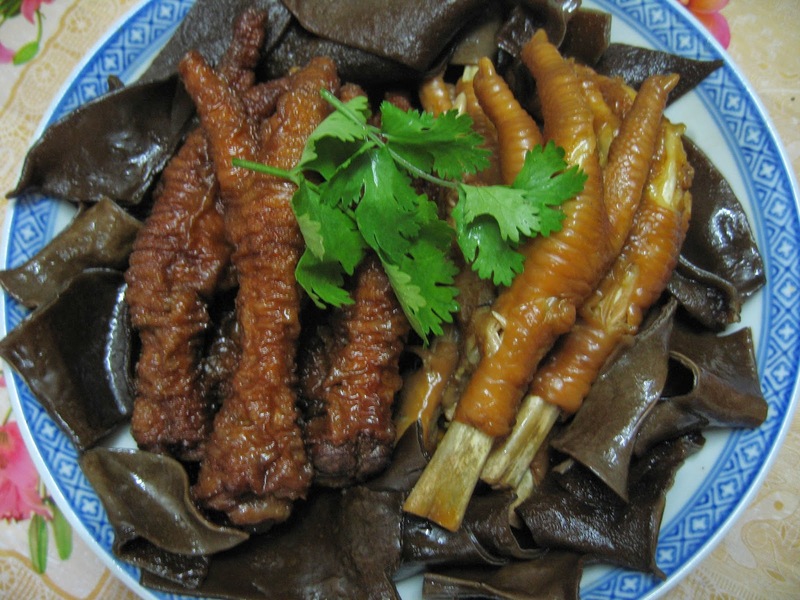 The elders in my family love the chicken feet as they believe it strengthens the cartilage around their knees and joints, while black fungus is good for clearing clogged arteries. I won't dispute the goodness of the chicken feet and the black fungus but for this dish, I strongly go for its great taste! 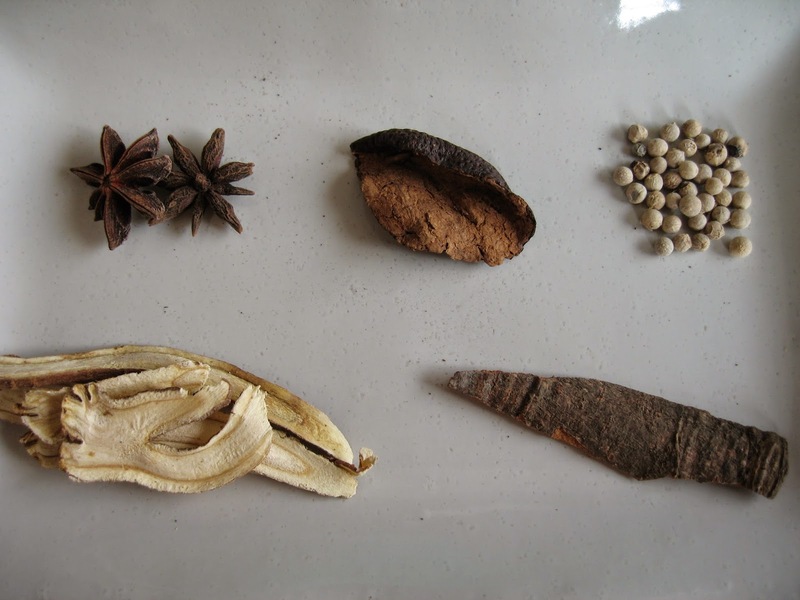 The combination of those herbs and spices boiled together created a truly wonderful aroma and flavour to the stew. I used both the fresh chicken feet and some pre-fried ones which can be bought from the wet market. This is to cater for the diverging taste preferences of the family members. 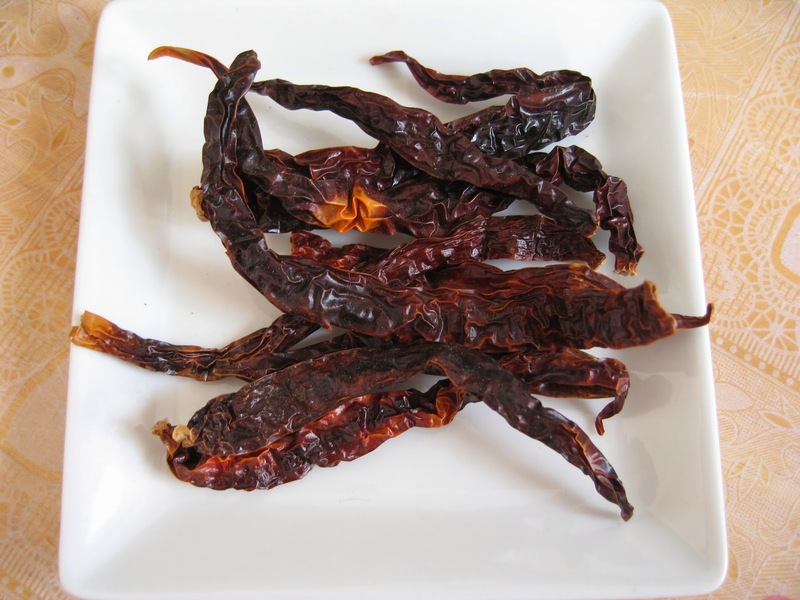 Some like the puffed up skin of the chicken feet which had been deep-fried in hot oil. 1. Blanch chicken feet in boiling water for 10 seconds then dish up. Rinse the chicken feet and drain well. 2. Bring 2 litres of water to a boil in a large pot. 3. Put in both types of chicken feet and the rest of the ingredients. Bring to a boil again. Then reduce the heat and simmer for about 1 1/2 to 2 hours or until the chicken feet are tender. 4. Thicken the sauce with thickening before dishing out to serve. Just this morning I was at the market, and so tempted to buy the chicken feet to braise with mushrooms. But nobody eats it in my house, except me, I love it! I like the pre-fried ones, with the puffed skin and after a long braising, it gets all soft and mushy! 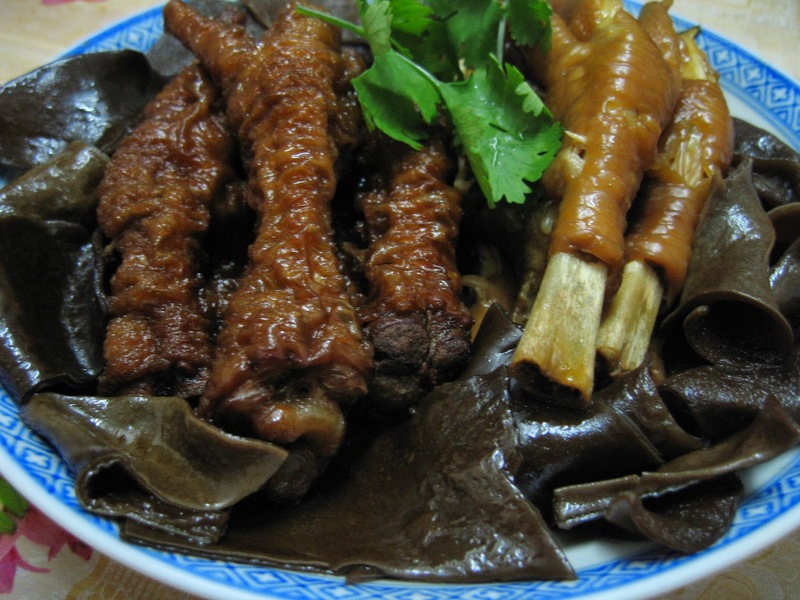 Some people do not like to eat chicken feet because they feel that the feet are dirty, which is not, because the feet have covers that need to be removed before they can be cooked. So chicken feet are actually very clean.